Take advantage of our Lexmark holiday sale and get a brand new Lexmark XC2235 or XC4140 for an outstanding lease and cost-per-print when plugged into a CIP Blanket Service Agreement. It used to be that desktop printers were money pits due to the high total cost of ownership. Well not anymore, at least not now that we are offering a managed print services option on select Lexmark desktop printers. Our Blanket Service Agreement is a managed print services option that drives down the total cost of owneship when applied to a high quality desktop printer from Lexmark. Plus, to make your cost even lower, we're running a limited time, limited quantity Lexmark holiday sale on two of the best desktop printers on the market, the Lexmark XC2235 and the Lexmark XC4140. With our Blanket Service Agreement, we are able to provide a significantly lower fixed cost-per-print with full warranty coverage that includes all toner, service, parts and labour, all while driving other total cost of ownership variables down like a malfunctioning printer that crush productivity. CIP remotely manages the Lexmark desktop printer, replenishes toner when it is needed so you never run out, and provides on-site service within 2 hours of your call during regular business hours! Check out the holiday sale offers below. 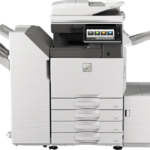 The multifunction Lexmark XC2235 builds on output at up to 35 pages per minute for colour print, copy, scan, and fax. Includes all toner, servcie, parts, and labour. 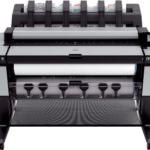 The multifunction Lexmark XC4140 builds on output at up to 40 pages per minute for colour print, copy, scan, and fax. When you're ready to take the next step we're just a click away. Simply start a chat and one of our specialists will get you on your way.